Dropping the trip to Stratford, ON and adding Shakespeare & Company (Lenox, MA). I considered making another trip to the West Coast and hitting the Bard on the Beach Festival (Vancouver, BC), but I just can’t swing it. I probably could find these plays during the 2009-2010 production season, but I’ve decided on seeing all the plays in one summer. So, here’s the plan: public readings. For instance, Richard II is being read aloud at the Nashville Shakespeare Company’s “Shakespeare Allowed” in July (at the time we’re heading back home from Southern Tennesse). Though I might not be able to see a staged production of the above plays, I could help organize performances of the plays…yes? I suppose this part of the project makes me more of an active participant, or it is an unexpected outcome of the experience. 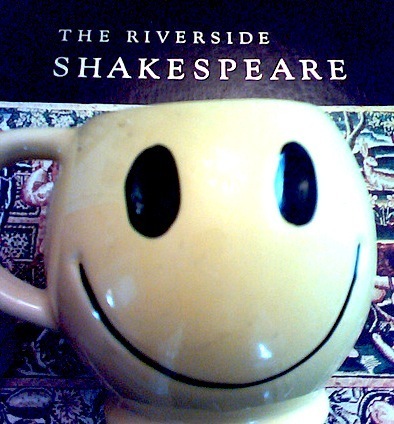 I, along with many others, will be promoting the reading of Shakepeare and perhaps reinforcing that idea that Shakespeare wrote for the masses and that everyone should have a chance to hear a play or two in the summer. I’ve started to pencil in some of the plays and dates for the readings. For instance, I’d like to have a reading of Henry IV Part II on the Oregon trip after I see Part I of Henry IV. Also, I’m planning on recruiting some family members on our vacation in July to read Timon of Athens. If I’m coming to your area and you would like to help sponsor a reading, then let me know. This will be an interesting part of the project that I had not anticipated but one that I think will yield some interesting results.